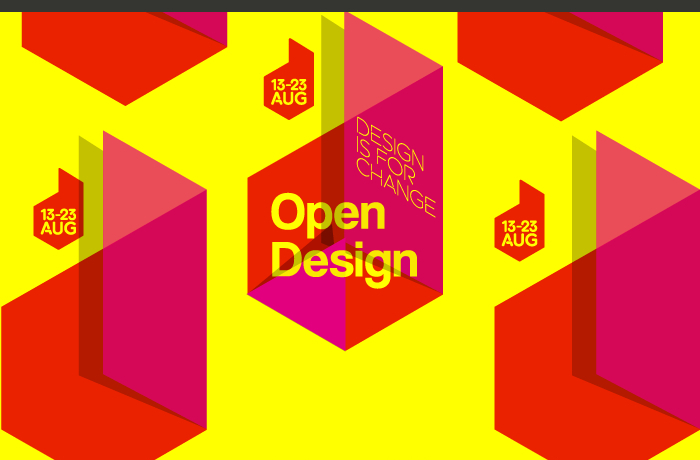 The second edition of OPEN DESIGN Cape Town kicks off tomorrow until 23 August 2014. It is an annual cross-disciplinary city-wide event. It creates an educational, informative, inclusive, collaborative platform for the people of Cape Town to use design and its numerous disciplines to openly share their design with each other. OPEN DESIGN Cape Town raises awareness of and increases appreciation for design by all. After going through the exciting programme of events and experiences here are the 10 that I am most looking forward to. The Cape Institute for Architecture in collaboration with Open Design Cape Town will be presenting the second annual Architecture Open Studio sessions.Architecture practices across the city will open their doors to the public in the spirit of design sharing and to show how these professionals design for change.The Architecture Open Studio programme invites people into these creative spaces to show how architects work, what inspires design and the interesting environments in which they practice. At a time when thinking about housing in South Africa is gradually shifting towards upgrading rather than the eradication of informal settlements, the need for suitably experienced professionals, community planners and officials who can engage in a process of participative planning is becoming increasingly urgent.In response universities and professional bodies have been seeking new modes of education and practice. The travelling exhibition Informal Studio: Marlboro South first shown in Johannesburg in February 2013 documents a university course on in-situ upgrading developed by 26’10 south Architects with the University of Johannesburg in 2012. During a seven week period, fifty architecture students worked with community planners (residents) from the informally settled warehouses and open plots in the industrial area of Marlboro South bordering Alexandra. The exhibition consists of four documentary short films as well as text, maps, drawings and a comic. It documents the complexity of the negotiated relationship between students and residents, as well as the challenges and opportunities opened up through a participative approach to planning. The exhibition presents a series of works created for Common Methods in collaboration between designers Lio De Bruin (NL) and Matblac’s Mathew Neilson (ZA) and Manufacturers Woodheads and Design Afrika and designers Phil Procter(NL) and Indigi Design’s Natalie Du Toit (ZA) with designer-maker Charles Haupt of Bronze Age. Big format photographs taken on site between July 2013 and April 2014 are placed in and around the new Guga S’Thebe theatre to overlay status quo and past process. Pictures reveal activities, now embodied in the finished/ ongoing construction.The public is invited to stroll through the outdoor area and the theatre itself. Architectural students, involved in the process, are present on site to answer questions about construction, material and the architectural concept.Open to the public all day. Jakupa Architects and Urban Designers will be hosting their second Each1 Teach1 Event for 2014. The Each1 Teach1 events are part of an ongoing culture of sharing of information related to the built environment and is about engaging with topical issues related to urban design and architecture. The theme for this year’s lecture series is on retrofitting suburbia and looking at structured solutions for informal housing settlements. The previous event held was on a thesis that looked at global precedents where housing for the ‘poor’ had been successfully and sustainably integrated in economically prosperous urban settings in order to provide equal opportunities for everybody. The theme: ‘Retrofitting Suburbia’ will thus be continued in the upcoming event where three speakers will share their work experience and lessons learned around this topic. Nature offers us 3.8 billion years of inspiration, research, development and great sustainable design examples. As a designer, innovator, engineer and entrepreneur, how can we learn from nature and use this incredible resource to guide us to design sustainable solutions, systems and products? Join us for an inspirational talk by Claire Janisch from Biomimicry SA, Tony Budden from Hemporium, (The House That Hemp Built #WDC313) and Tobin Davenport and Britt Hanson from UCT. With our inner drive to use our skills to design a better world and to motivate others to do the same, what could this “better world” look like? Join us for a fascinating evening session in the company of Cathy O’Clery from 100% Design, Prof Ezio Manzini (Italy), Prof Mugendi M’Rithaa (Kenya / SA) and Heinrich Wolff (SA). Open House 16 will be a tour of selected buildings by Andrews & Niegeman, a firm of architects who practiced in Cape Town between 1945 -1999. The Rex Trueform and House of Monatic clothing factories in Salt River are amongst their most famous and so is the SA Naval College in Muizenberg. The clothing industry in Cape Town, and the buildings that it produced, played a significant role in the particular way that the city of Cape Town developed in terms of race, class, and identity. Through the work of pioneer modernist architects Max Policansky, Doug E Andrews, and Henk Niegeman we will reflect on how a reading of architectural space can uncover some of these complexities. Ex-factory workers, knowledgeable practitioners and current occupiers will lead the tour with insights that could prompt valuable discussions. Visitors will be exposed to a group of buildings that gives an integral glimpse into the history of garment making and the buildings that supported this industry. More information on the buildings and the architects can be found here. For the first of its kind on the African Continent, a conference regarding ideas concerned with Universal Design and the implementation thereof, will be hosted by UD Africa in Cape Town as part of the Open Design. Opening with information sharing, open discussions and idea dissemination, the conference aims at enlightening fresh minds and invigorating thought processes to encourage local design to create a better place for all.